What Is Included in a Blood Drug Test for Employment? A blood drug test, which measures alcohol or drugs in the blood at the time the blood is drawn, may be used when job applicants or employees are screened for illegal drugs. Drugs that are screened for in a typical blood test for employment purposes include amphetamines, cocaine, marijuana, methamphetamines, opiates, nicotine, and alcohol. 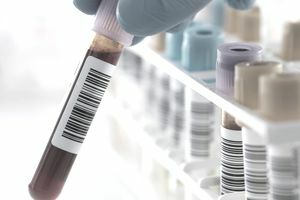 Blood tests may be required as part of pre-employment screening or may be conducted randomly by employers, especially for employees in certain occupations, or may be required after an on-the-job accident or injury. They also may be conducted periodically as a standard or if the employer has reasonable suspicion that an employee is under the influence. There is also a very short detection period with a blood test for most drugs. Many drugs stay in the system for two to four days, although with chronic use of marijuana, it can stay in your body and be detectable for one to six months following the last use. MDMA and methamphetamines stay in the body for only two days. Cocaine is detectable for four. Diazepam and other drugs with a long half-life can stay in your body for a longer period of time. A false positive is certainly a worry for anyone taking a drug test. While this happens infrequently, a second confirmation test greatly reduces the risk to just about zero. When you take a drug test, it's important to give a complete and accurate history of all prescription, over-the-counter, and herbal medication used. Certain substances, as well as OTC or prescription drugs, may result in false positives due to the way in which they react with other substances. For example, poppy seeds and dextromethorphan have led to a false positive result for opiates. Decongestants (which contain ephedrine) may result in a false positive for amphetamines. All prospective employees for federal, state and private employers can legally be tested for drugs and alcohol. Most current employees can be tested since state laws are generally similar to federal statutes. Employers must follow state guidelines for testing. Testing might be restricted to candidates who have already been offered a job. Some federal employers are legally required to administer drug testing to prospective and/or current employees. For example, the Department of Transportation and the Department of Defense and their contractors must drug-test employees. Typically, all candidates need to be treated equally, and no individual can be singled out for testing. Advance notice must be provided to candidates and employers are required to furnish information about their testing process. The employer should have a mechanism for appealing failed tests in place. Many states, including California, require employers to verify a cause for testing currently employed workers for substances. Employers in those states must have a reasonable suspicion that the employee in question is abusing drugs and that safety or performance has been compromised. Some states can randomly test workers without a reasonable suspicion. This practice is usually restricted to situations where safety issues are a concern, but state laws vary. Employees who take medically necessary prescription drugs are generally protected by the Americans with Disabilities Act (ADA). As of this writing, New York and California have passed laws that specifically apply to workers with a medical marijuana card; in these cases, employees who use marijuana for medical reasons are considered legally disabled. Consult a local employment attorney or your state's attorney general if you have questions about laws in your jurisdiction. What is a Mouth Swab Drug Test? When Do Employers Drug Test Applicants and Employees?